Castile and León (in Spanish, Castilla y León) is the biggest autonomous community in Spain and holds around 60% of Spain's artistic and cultural heritage. It's also a great place for wine lovers, because they have many varieties. The wines from Castile are some of the best known Spanish wines in the world. 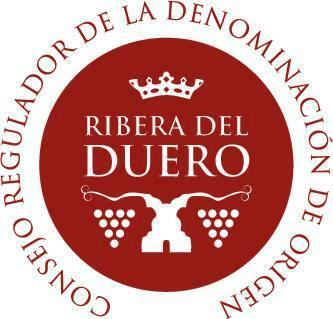 The DO Ribera del Duero is one of the most popular Spanish designations of origin, and it's known worldwide specially for the high quality reds wines from Castile it produces. Ribera del Duero wines are a perfect option for any occasion, and so important to the history of Spanish wine making they got a whole page to themselves so you can learn more about them. To try a really good Ribera del Duero you can go to Salamanca, which is also one of the prettiest cities in Castile and León. The DO Rueda can be found in the intersection of the Valladolid, Ávila and Segovia provinces, in the central part of the Ebro Depression and watered by some of its tributaries (Trabancos, Zapardiel and Adaja). This DO is very famous for its white wines from Castile, considered some of the very best in this category. In fact, from its creation in 1980 to 1994, it only produced white wines. If you're travelling in Spain, a nice cup of Rueda wine will loosen you and help you talk better! The vines are planted between 2300 and 2600 feet of altitude and are affected by a continental climate, with long hard winter in which frosts are not uncommon, short springs and warm dry summers with untimely storms. This delays the ripening of the grapes so the harvesting takes place later than in other DOs, around March or even April. Tinto Joven (young red): No ageing, available a few months after harvesting. Tinto Crianza: At least 24 months of ageing with a minimum of 6 spent in an oak cask. Tinto Reserva: At least 36 months of ageing with a minimum of 12 spent in an oak cask. Tinto Gran Reserva: At least 24 months of ageing in an oak cask and 36 in the bottle. Rueda Rosé: Must have at least 50% of the accepted red grape varieties. Minimum alcohol content of 11%. Sparkling Rosé: Must have at least 50% of the accepted red grape varieties. Aging in the bottle during no less than 9 months. Minimum alcohol content of 11.5%. Rueda Verdejo: At least 85% should be Verdejo grape, but often they're 100% Verdejo. Dry, with a straw yellow color. Minimum alcohol ontent of 11.5%. Rueda: At least 50% of Verdejo. Minimum alcohol content of 11%. Rueda Sauvignon: At least 85% of Sauvignon Blanc. Minimum alcohol content of 11%. 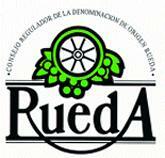 Rueda Espumoso: Can be dry or semi dry (at least 50% Verdejo) and Brut or Brut Nature (at least 85% Verdejo). Minimum alcohol content of 11.5%. Rueda Dorado: Liquor wine with a golden color, must spend at least 2 years in oak cask before marketing. Minimum alcohol content of 15%. To the southeast of the Zamora province and the east of Valladolid are the vineyards of the DO Toro, established in 1987. This area was famous for its wine making way before the DO Toro was created, and these wines from Castile were so appreciated that they got royal grants that permitted them to be sold even in cities were wine was banned. Later, during the phylloxera plague of the 19th century, these wines we exported massively to France to compensate for the lack of wine. The French wine makers also spent summers in Spain to learn the Spanish wine making techniques. Reds: The red wines of DO Toro are produced with 100% Tinta de Toro, except for the Tinto Roble which has a 10% of Garnacha grape variety. Alcohol content between 12.5% and 15%. Crianza: Must be at least 2 years old with 6 months spent in an oak barrel. Reserva: Must be at least 3 years old, with combined aging in oak barrel (at least 12 months) and bottle. Gran Reserva: Must be at least 5 years old, with a combined aging in oak barrel (at least 24 months) and bottle. Whites: Produced with either 100% Malvasía variety or 100% Verdejo variety. Alcohol content between 11% and 13%. Rosés: Produced with 50% Tinta de Toro and 50% Garnacha. Alcohol content between 11% and 14%.